The approval, which doesn't include the millions of dollars that would be needed, clears the way for a revitalization of the campus with dorms, a student center and a new quad. University of Maine System trustees approved a sweeping new master plan for the University of Southern Maine on Monday that envisions a revitalized Portland campus. The plan, first announced in 2016, would feature new dorms, a new student center and a new campus quad in Portland, as well as a new central green space that would be created by eliminating a parking lot. The Gorham campus would get a “campus heart” green space at the top and center of the campus, also by converting a parking lot. Although the trustees’ benediction was an essential step, it didn’t come with any funding, and the plan is a blueprint that will take years – and more than $100 million from various funding streams – to bring to fruition. Also Monday, the trustees, who met in Orono, were briefed on a review of underenrolled academic programs and approved the creation of two new programs, both at the University of Southern Maine. The 33 underenrolled programs, selected for review because they only graduate a handful of students each year, must re-invigorate their numbers or possibly face consolidation or elimination. Now that the trustees approved USM’s master plan, the school will move forward on the residence hall project first, said Nancy Griffin, USM’s chief operating officer. USM is working initially with national firm Brailsford & Dunlavey, which has built student housing at colleges across the country, to explore whether to pursue a public-private partnership. Under a public-private partnership, it is possible that USM won’t have to put up any cash for the estimated $30 million residence hall project. The new residences, geared for third- and fourth-year undergraduates or graduate students, could open as early as fall 2021, Griffin said. 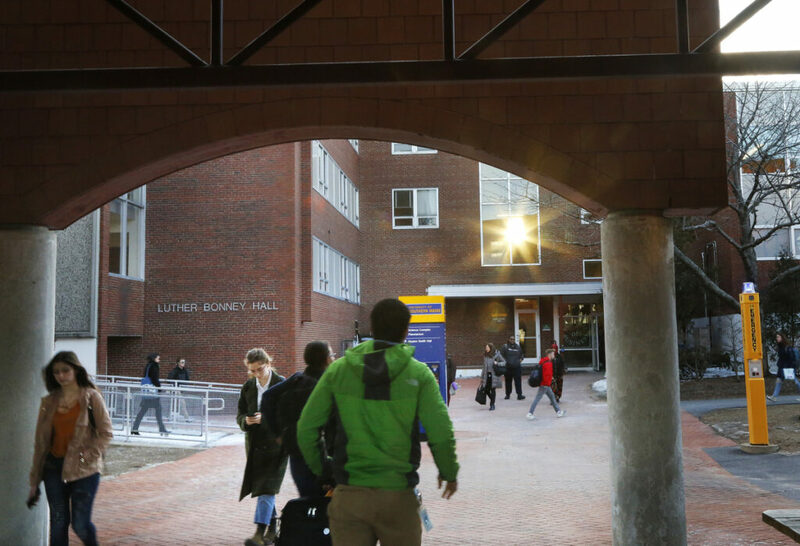 First- and second-year students would continue to be housed in Gorham dorms. Work on the $25 million student center is likely to begin in the short term as well, she said. A recent higher education state bond included $19 million for the student center. After USM announced the master plan, it launched an $80 million capital campaign to help pay for some of the proposals, such as an arts center that would include a concert hall about half the size of Portland’s Merrill Auditorium, and practice, classroom and reception space. At the same time, the university has been working closely with the Harold Alfond Foundation to establish a new graduate center. The latest schematics for the master plan show two dorms, one for 200 students and another for 300 students, on the edge of Forest Avenue near Bedford Street; a new quad area off Bedford where the surface parking lot is located and a 40,000-square-foot campus and career center adjacent to the new quad. It also identifies two “anchor site” locations on the edges of the 34-acre campus, which could be used for either the proposed arts center or the proposed graduate center. One is located between the Wishcamper Center and Interstate 295 – currently a parking lot – and the other adjacent to the Brighton Avenue Extension. Long-range growth sites include the area now used by the law school, which is slated for demolition, an area adjacent to the existing parking garage, and a site on Falmouth Street between the Sullivan Athletic building and the science building. It’s all part of a vigorous re-branding at USM under President Glenn Cummings, who vowed a “quick rebuild” when he took over in 2015 following a major financial crisis, controversial budget cuts and declining enrollment that destabilized the campus, which serves about 8,000 students. The school is even considering a name change to the University of Maine at Portland. University of Southern Maine students walk near Luther Bonney Hall in Portland on Monday. 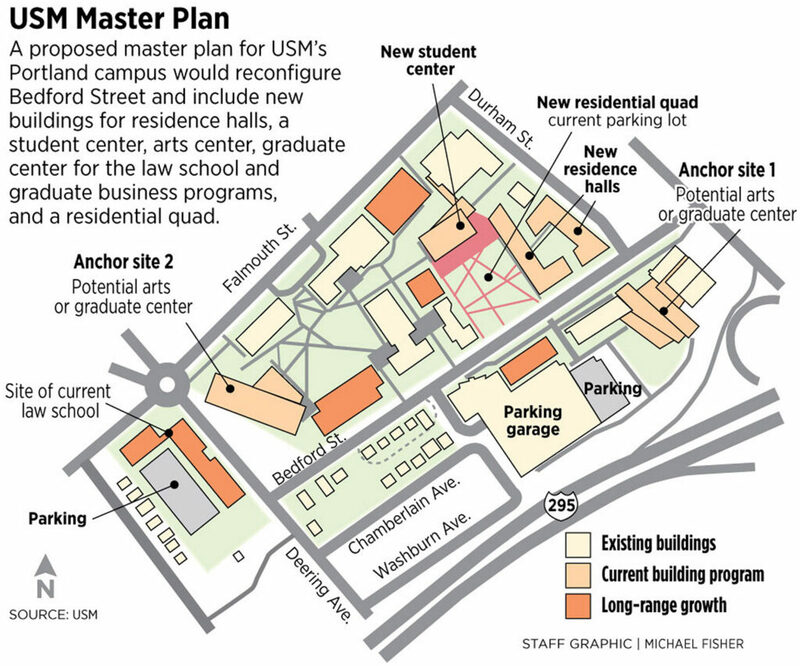 Trustees meeting in Orono on Monday approved a sweeping new master plan for USM that envisions a revitalized Portland campus. The master plan is designed for both commuter students and a new residential population, officials said. Cummings said the new vision for the Portland campus also will be better for students, who tend to want to move to Portland after spending their freshman and sophomore years in Gorham. But the high rents in Portland mean many of those students reduce their credit hours because they are working more. 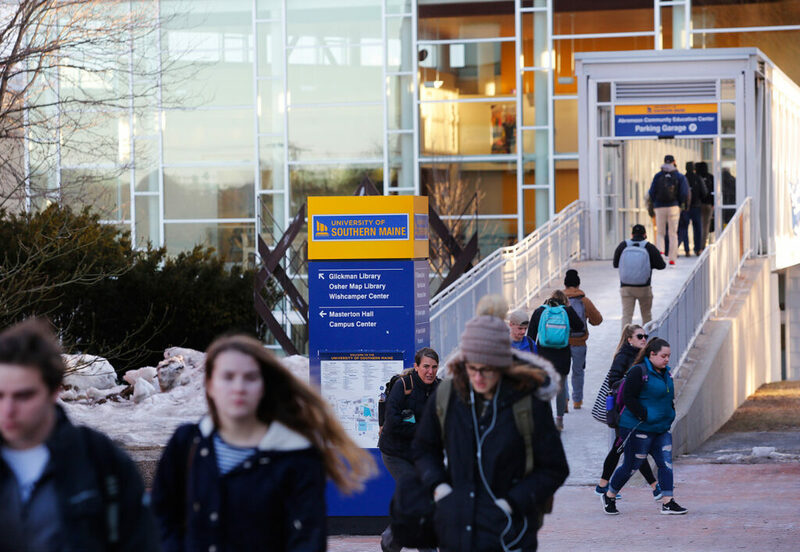 USM has delayed any proposals for its Lewiston-Auburn campus, a single building on a 10-acre site, until a review of academic programs is complete, according to the master plan. On the academic front, the trustees were briefed on the ongoing academic review of under-enrolled programs system-wide. Vice Chancellor of Academic Affairs Robert Neely told the trustees that the initial list identified 130 programs – 72 undergraduate and 58 graduate – as not producing enough graduates, defined as five graduates a year at the undergraduate level, three a year at the master’s level and two a year at the doctoral level. At this stage, campus academic officers are creating action plans for each of the remaining academic programs under review, which will be presented to the trustees in March. “This should be part of our regular work,” Chancellor James Page said of the review. The trustees also approved two new academic programs: a bachelor of science in public health and a Ph.D in Leadership Studies, both at USM. Public health programs are the ninth-fastest growing program nationwide, and the bachelor’s degree will provide a pipeline for USM’s nursing master’s program. Campus officials say they anticipate that 65 students will enroll in the primarily online program in the first year. Also Monday, university officials announced that the search for a new chancellor will be confidential. Page announced in December that he will retire at the end of the academic year. Trustee Sam Collins, who is leading the search committee, said the panel hired higher education recruiting firm Academic Search to find candidates, along with posting the position nationwide. Two to four finalists will interview with a committee that includes members of the university community and the public – but those committee members will sign a non-disclosure agreement, and the names of the finalists will not be publicly available.